In five or so months, it’ll be a year since Battlefield 4 was released – and for many, it’s still a bit of an unplayable mess. On the one hand, we should be a little thankful that DICE is still trying their best to fix it, but on the other, they should never have released the game in the state they did. They’ve haemorrhaged enough goodwill that people are hesitant to buy the next Battlefield game. 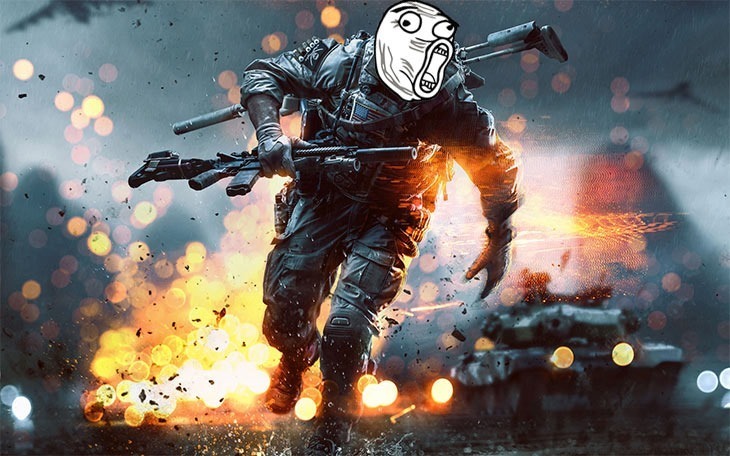 That aside, the newest patch for Battlefield 4 should make it a smoother experience for many, provided they have fast enough internet connectivity. The new update, due later this week, reduces server-side lag by updating player information more frequently. It’s an option that’s off by default, so something you’ll have to switch on to see any benefit of. It’ll require that players have at least a 1mb connection. It works by updating clients with more frequent data the server in a certain radius around the player, which DICE calls a "high frequency bubble". Here it is in action. Hopefully, it makes the game a smoother experience for disillusioned Battlefield players. Here’s a full list of the upcoming changes, too. Fix for issue where clients with low bandwidth would not be able to enter squad menu.